La Quinta, CA – ERA Real Estate, a global franchising leader, today announced the affiliation of Dune Palm Realty based in La Quinta, California. 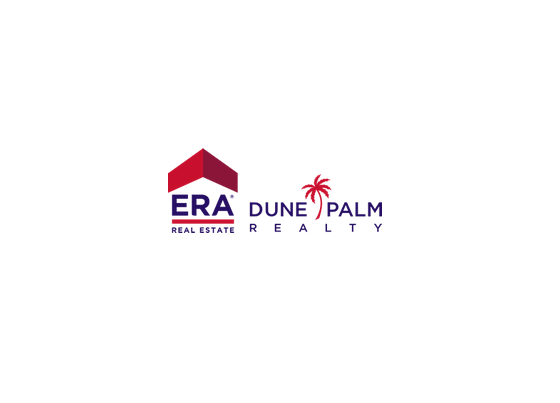 Established in 2013, the firm will now do business as ERA Dune Palm Realty. ERA Real Estate is an innovative franchising leader in the residential real estate industry with nearly 45 years of experience in developing consumer-oriented products and services. The ERA network includes approximately 36,000 affiliated brokers and sales associates and approximately 2,300 offices throughout the United States and 30 countries and territories. Each office is independently owned and operated. ERA Real Estate is a subsidiary of Realogy Holdings Corp. (NYSE: RLGY), a global provider of real estate services. ERA Real Estate information is available at: ExploreERA.com.